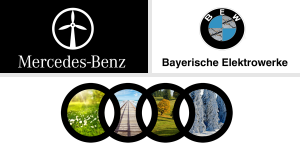 After the approval of EU competition authorities, the US antitrust authorities have now also approved the merger of the mobility services of Daimler and BMW. This means that nothing stands in the way of the merger. The EU competition watchdogs have allowed the announced combination of mobility services by Daimler and BMW, including the car sharing services DriveNow and Car2go to proceed, under certain conditions. 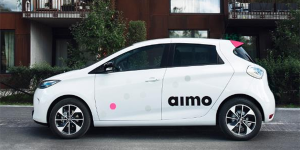 Japanese conglomerate Sumitomo that does everything from mining to managing grocery stores is taking on a new venture, electric car sharing. Not only is this a new field for them, the Tokyo-based company also chose one of the world’s toughest sharing markets – Sweden. After BMW and Daimler announced their intention to bundle their car-sharing capacities from DriveNow and Car2Go, the fusion is starting to take a more definite shape. The manufacturers announced that their planned joint venture will be based in Berlin. 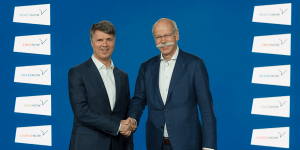 BMW and Daimler want to tackle mobility together as they finally reach an agreement to merge DriveNow and Car2Go. A joint venture will include Daimler’s Mytaxi and Moovel as well as BMW’s ParkNow and ReachNow as well – if the cartel authorities agree. Daimler to ready car2go for fusion with BMW’s DriveNow? 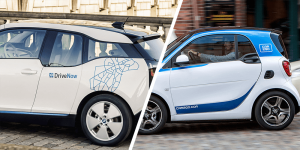 Daimler has acquired all Car2Go shares from partner Europcar, thus making way for the expected alliance with BMW’s DriveNow potentially. The buy out cost Mercedes 70 million euros. Daimler and BMW have been discussing plans to build a joint business for mobility services in Europe since 2017. BMW has acquired all DriveNow stakes of Sixt for 209 million euros and so the carsharing service becomes a wholly-owned BMW subsidiary. The deal fuels recent rumours of BMW wanting to merge DriveNow with Mercedes’ Car2Go. BMW and Daimler are about to merge their car sharing offers DriveNow and Car2Go. Talks have reached the final stages and may result in an independent company jointly run by the two German heavyweights. NeMo, ChargeNow, DriveNow, Delaware, Nottingham, Multicity. More interoperability with NeMo: The EU-funded project Hyper Network for electro-Mobility (NeMo) unites 19 partners from eight European countries, working to improve interoperability of electric mobility services. The project will continue for three years. ChargeNow update in Asia: BMW now offers ChargeNow in Japan. 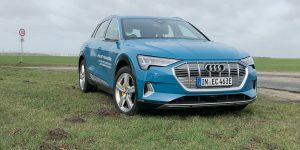 Drivers of the Bavarian’s electric and plug-in hybrid models can plug in at some 14,000 NCS network locations across the country. Meanwhile, BMW partnered with GreenTech in Malaysia, giving its customers access to the ChargEV network with 95 locations. DriveNow starts in Milan: The carsharing scheme from BWM and Sixt will be available in Italy’s second biggest city from October 19th. A total of 480 BMWs will be made available. An additional 20 BMW i3 will join the fleet in the coming months. EV incentives prolonged: The U.S. state of Delaware will renew its incentive programme for cars with alternative drivetrains when it runs out at the end of the month, as well raise the rebate from 2,200 to 3,500 dollars for battery-powered vehicles. Moreover, the state will foot half the bill of a private charger and even 75 percent of the cost for an EV charger in a commercial environment. Preferential lanes: Nottingham kicked off works for a six-mile Eco-Expressway. It will see an extra lane in both directions that is reserved for electric vehicles only. Electric buses will be allowed to use the lane as well. Multicity loses electric edge: The previously all-electric carsharing scheme added 100 petrol-powered Citroën C1 to its fleet in Berlin. With 250 Citroën C-Zero, the offer is still mostly EV, but citing customers’ “growing mobility needs,” Berlin seems ready to abandon its role as the capital of electric mobility. E-carsharing, DriveNow, Costa Rica, New Zealand, India. ZEV sharing: The German state of Baden-Wuerttemberg awarded 1.1m euros to the e-carsharing project “zeozweifrei unterwegs” (en route with zero emission). The aim is to set up 39 EV-sharing stations in the Bruchsal region by April 2017, with the first stations ready to open this September. There will be an EU-wide tender for the purchase and operation of the vehicles. DriveNow Seattle: Following DriveNow’s leaving San Francisco in November, the carsharing service seems to be headed to Seattle, where GeekWire spotted three i3 in the street. The city says it issued 63 carsharing permits to BMW – but the carmaker has not yet confirmed the extend of the program. Costa Rica electrifies: In an effort to promote electric vehicles, Costa Rica is looking to put in place new measures like tax relief, quotas for charging stations, and the integration of electric vehicles into government fleets, where at least ten percent of government vehicles would be replaced by electric or hybrid cars. The programme could also offer 100% financing for people who opt to exchange their vehicles. Full charge in New Zealand: Christchurch, New Zealand, will become home to a new car hiring hub to include Avis, Budget, Hertz, Thrifty and Apex. The 10m dollar, three-storey complex houses everything a car could need – including ten EV charging stations. It is scheduled to be finished by May 2017. Updates in India: Volvo will deliver the first five hybrid buses to the Navi Mumbai Municipal Transport Corp. in the coming weeks. It is only the first step, as the Swedish manufacturer will deliver a total of 25 of its buses to India, financed by the FAME (Faster Adoption of Manufacturing of Hybrid and Electric Vehicles in India) subsidy scheme. Foxconn, Norway, DriveNow, Clever, Vital Energi. 5,000 EVs for Hangzhou: Foxconn subsidiary FIH Mobile has invested 1.2bn Chinese yuan (more than 180m USD) to set up an electric car rental service company in Hangzhou, China. FIH plans to deploy up to 5,000 electric cars within the next three years. H2 coalition: Norwegian hydrogen specialist NEL has signed a letter of intent with Uno-X, a chain of fuel stations throughout Norway and Denmark, to establish a joint venture. 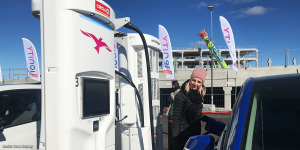 The companies plan to rollout a minimum of 20 hydrogen refuelling stations covering all the major cities in Norway within 2020. BMW i3 expansion: The car-sharing programme DriveNow continues the electrification of its fleet as it introduces 20 BMW i3 in the Austrian capital Vienna. Car-sharers can already get their hands on the electric car in Munich, Berlin, Hamburg, Dusseldorf, Cologne, London, and Copenhagen. Clever expansion: Danish EV infrastructure provider Clever will cross the border as it plans to launch four fast charging stations in Northern Germany by the end of this year. The stations will support all DC and AC connectors (CHAdeMO, CCS, Type2). Hybrid fleet: British sustainable energy company Vital Energi will shortly take delivery of six Mitsubishi Outlander Plug-in hybrids, taking its fleet to a total of 40 hybrids. The company already has 19 Mitsubishi PHEVs, eight Lexus hybrids, six Toyota hybrids and one VW Golf GTE. Get ready for the Joby S2, an awesome electric two-seater vertical takeoff and landing plane. The concept features no less than 16 propellers along its wings and can also glide as a plane reaching speeds of up to 200 mph. Have a nice flight into the weekend! RWE, DriveNow, Shenzhen, ERDF, Scoot Networks. 400 rapid charging stations will be erected at German gas stations near the “Autobahn” by 2018. Tank&Rast already ordered the first 49 from utility RWE. The rapid charging stations are built by Portuguese Efacec and feature CCS, CHAdeMO and level 2 charging. Installation is to be completed within the next five months with the other stations to follow successively. Once completed, the network will span the most important motorways in Germany with stations to be found at a distance of 30 km from each other. DriveNow electrifies: The car-sharing service continues the electrification of its fleet as it introduces the first fifteen electric i3 in Cologne and Dusseldorf as planned. 30 more are to follow before the year’s end. Austrian capital Vienna is next in line as it will receive 20 BMW i3 to share this December. In favour of EVs is a new policy by Shenzhen’s local government that might see the Chinese metropolis get up to 10,000 EV charging points. Furthermore, subsidies are planned that support both the installation of charging facilities as well as the acquisition of hybrid and electric vehicles. 1,000 EV in service: French utility ERDF took delivery of its 1,000th Renault Kangoo ZE. The electric fleet is to double by the end of 2016, with another 500 Kangoo ZE and other yet to be specified EVs. Twizy-based concept shared: The Nissan New Mobility Concept, or Scoot Quad, is a small, two-seater EV based on Renault’s Twizy. Ten of those electric quads were provided to the Scoot Networks mobility service in San Francisco, where they join 400 electric scooters. DriveNow, E-Stor, Moscow, New Delhi, Telefonix. DriveNow expands: London car-sharers can get their hands on 20 additional BMW i3. 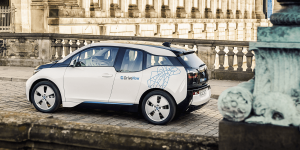 The DriveNow fleet now counts 50 electric cars in the British capital. In Stockholm, the joint service of BMW and Sixt will start on October 20 with 260 conventional cars and Minis. The i3 is to be added at a later date. Second life: The E-Stor concept is an energy buffer system using second-life EV batteries for charging stations. Jointly developed by Future Transport Systems and Ricardo, E-Stor can absorb surplus energy and distribute it at peak times thus relaxing the grid. Park & Charge: The first EV charging station in Moscow has been installed at a parking space. Another 50 are to follow within this year, while the Russian capital plans to erect a total of 150 by the end of 2016. Women e-trikes: 30 three-wheeled electric vehicles with female drivers only can be hired at hot spots in New Delhi. With the Smart-E service, the Indian city hopes to make the last mile more sustainable and safer as the EVs come with CCTV, GPS and SOS. An app is in the making. Solar demo: In an attempt to test the power of solar in Wisconsin’s climate, Alliant Energy is launching a solar demonstration project. Part of the programme is the installation of 13 EV charging stations by Telefonix at Alliant’s headquarters. However, the stations are powered by the building. Hamburg, DriveNow, eclearing.net, Ontario, Dubai. Hamburg supports EVs: Hamburg is the first German city to take charge of the federal EV law. From November on, all electric cars will park free-of-charge in the city. To recognise those eligible, a big “E” is to be added to license plates by the end of February 2016. Furthermore, the city plans to increase the number of charging stations from currently 150 to about 600 by the end of next year. BMW pulls the plug: Electric car sharing in San Francisco will end on November 2 as DriveNow is leaving the city. SF’s parking permit regulation does not allow for free-floating thus colliding with the DriveNow business model. BMW plans to focus on other U.S. cities instead. E-roaming: Volkswagen Financial Services and Stromnetz Hamburg both signed up for the open B2B platform eclearing.net. Users of VW’s Charge&Fuel Card will hence get access to Hamburg’s charge points. Charging incentive: Ontario offers up to 1,000 dollars to those willing to purchase and install an EV charging station. The rebate applies to businesses and home owners alike if the stations is not public. Leading by example: The Dubai Electricity and Water Authority (DEWA) added eight electric cars to its fleet. The move is part of DEMA’s Green Charger initiative in which it plans to install 100 EV charging stations in the desert state this year. California, driverless pod, e-bus, Maryland, DriveNow. Help from Japan: The Japanese New Energy and Industrial Technology Development Organization (NEDO) and the California Governor’s Office of Business and Economic Development (GO-Biz) have signed a Memoranda of Understanding. The former will help build a fast-charging network in the northern part of the state and demonstrate a redox-flow battery storage system. Nissan and Kanematsu will thus work together with NRG EVgo. The final design of Milton Keynes’ driverless electric pods was presented after only 18 months of close collaboration of the partners of the Transport Systems Catapult (TSC) project. The LUTZ pathfinder will be the first driverless vehicle of its type to operate in public areas and trial automated vehicles in pedestrianised areas. Battery bus conversion: The Indian city of Nagpur wants to electrify a diesel bus. Following a two month conversion time, the trial will at last six month. If the trial proves successful, local bus operator Vansh Nimay Infraprojects Limited plans to convert another 60 broken-down diesel buses. Rail and Charge: Maryland has installed 17 new charging spots at eight rail stations, bringing the number of chargers to 39 at a total of 16 locations. The initiative is funded by a one million dollar grant from the Maryland Energy Administration and charging is free. BMW i3 expansion: DriveNow, the carsharing programme run by BMW and Sixt, will soon include more of the all- electric i3. The goal is that at least every fifth DriveNow car will be electric and that EV will be available in every of the participating cities. Ecomobiel 2015 – the platform for sustainable mobility and mobility management: Discover all about personal & light company cars, cycles & company bicycles, city distribution and charging & Infrastructure. Register now for a free visit on 6 & 7 October in the Brabanthallen Den Bosch. Your ticket will also give you entrance to the exhibition Energie 2015 – the largest live event in the Netherlands on energy-saving technology and sustainable energy. Registration here! Video tip: DriveNow recently introduced 100 all-electric i3 cars for customers in the German cities of Berlin, Hamburg and Munich (we reported). In a new video, BMW explains why electric carsharing is an important component of sustainable urban mobility concepts. Study tip: In a new report, Navigant Research forecasts the global market for Li-ion batteries in light duty and medium/heavy duty vehicles will almost quadruple from 7.8bn dollars in 2015 to 30.6bn dollars in 2024. Reading tip: Pamela Thwaite, aka “ElectraGirl” was in San Francisco and used the chance to try DriveNow carsharing that includes the BMW i3. Her attempts were dampened only by a few bureaucratic hurdles along the way. Download tip: The International Energy Agency has published the “Technology Roadmap Hydrogen and Fuel Cells.” Looking at FCVs, it concludes that even if 10,000 fuel cell cars hit the road, it could still take another 15 to 20 years for the market to be self-sustaining. London, DriveNow, BWM, India, Top Rent a Car. London pushes electrification: Transport for London announced two more bus lines to be served with electric buses. Route 507 and 521 will see 51 electric buses in regular service, starting this autumn. By 2020, all London buses (300 trolleys and 3,000 double deckers) will be electric. BMW i3 for DriveNow: The first 100 electric BMW for the German DriveNow carsharing fleet have arrived. They replace the 60 BMW ActiveE that have been operating in Berlin and Munich. 40 BMW i3 go to Berlin and 30 to each Hamburg and Munich. Later in autumn, Cologne and Dusseldorf will follow. BMW i3 for Hong Kong: The Hong Kong Jockey Club (HKJC) in Happy Valley received 19 BMW i3. Furthermore, 12 new Pro Wall Box electric vehicle chargers will be set up on the club’s premises. BMW used the occasion to announce the installation of the first BMW i fast-charging station at a shopping mall in Hong Kong. Electric buses in India: The state of Maharashtra plans to introduce 50 to 60 electric or hybrid buses in various cities by December. The move would be part of the FAME initiative that aims to get India moving more ecologically. Electrification in Auckland: The city’s council has begun replacing gas guzzlers with (partially) electrified cars, adding two Nissan Leaf and eight Toyota Prius to its 800 vehicle-strong fleet. Officials want to electrify 40 percent of the fleet in the next 20 years. Twizy to rent: Top Rent a Car from Bulgaria now carries 10 Twizy in its fleet. During the summer, they will be available at beach resorts before being moved to the capital Sofia in autumn. Charging is free at Top Rent a Car locations, as well as public chargers. DriveNow, Ikea, Seattle City Light, Nissan Leaf. DriveNow will deploy 400 i3 in Copenhagen, German Wirtschaftswoche has learned. The electric BMW will be roaming the Danish capital from September in cooperation with Deutsche Bahn subsidiary Arriva. It would be the biggest electric rental fleet worldwide. Ikea fully charged: All 12 Ikea stores in Canada will be equipped with charging stations, the Swedish furniture company announced. The roll out will be completed by the end of August and will offer SCH-60 Level 2 60-amp charging stations by Sun Country Highway. Charging will be free. Charge as you are: Seattle’s utility, Seattle City Light, will introduce Smart Charging together with the Electricity Innovation Lab (eLab). The programme will include commercial as well as residential customers and a pilot will be rolled out in the next couple of months. Try before you buy: St. Alban now has an electric taxi service and a fast charging station. As part of the Electric Blue project, the car allows taxi companies to test working with a Nissan Leaf. Reduced rates, advice and a free home charging units are part of the package. Bolloré, DriveNow, CHAdeMO, CSE, Vermont. Bolloré kicks off in London: The French carmaker has introduced the first ten bright red electric cars in the British capital. Bolloré plans on extending its electric hire fleet there to 3,000 vehicles in the coming five years. DriveNow electrifies: BMW board member Peter Schwarzenbauer announced that the carmaker will expand and update its carsharing scheme DriveNow, including the all-electric i3. The service currently offers 3,100 cars in eight cities worldwide. CHAdeMO bets on V2G: The CHAdeMO Association hopes to make the standard more appealing by making it compatible with vehicle-to-grid technology. It is the first standard to make this a topic. In April, we spoke to Tomoko Blech, European Representative of the CHAdeMO Association, about the future of electric vehicle charging. If you did not watch the exclusive interview yet, you can do so below. Connecting stations: The California Energy Commission has earmarked 1.5 million dollars for the Center for Sustainable Energy to lead development of an advanced management platform for integrating EV charging with utility-scale energy systems. It will be the first data platform to employ the ISO/IEC 15118 standard. Freedom Stations for Vermont: NRG EVgo says it will install 12 of its “Freedom Stations” in the U.S. state of Vermont. The first fast-charger has already gone online in the city of Rutland. DriveNow, CHAdeMO, Beijing, Louisville, Iceland. 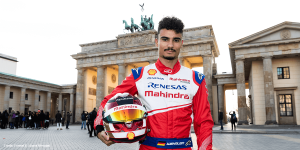 DriveNow set course for growth: The BMW and Sixt joint venture now has 390,000 users, most of them in Germany (365,000). This year, DriveNow will introduce the i3 in its fleet. First is London were 30 all-electric BMWs will be deployed in spring with other European cities to follow later this year. State of a standard: 5,010 CHAdeMO charging points can be found worldwide, CHAdeMO Association reports. 2,819 are located in Japan, another 1,327 in Europe and 810 in the States. Street lamp chargers in China: Beijing has started a pilot with LED street lamps turned into EV charge spots. The first eight spots are located in Changping district. The Chinese capital is to expand the program quickly as it plans to have 10,000 charge poles erected by 2017. Electric buses for Louisville: The Transit Authority of River City (TARC) is now operating ten electric buses by Proterra. They are recharged at bus stops and replace the diesel buses that were used before. Iceland’s first electric car-sharing has been founded by an 21-year old entrepreneur. Starting with a Nissan Leaf on the icy island, Electric Carrental is hoping to expand its service with Teslas and other models this spring. The electric car-sharing service aims at eco tourists. DriveNow, Vienna, Oldham, Tesla CHAdeMO adapter, Warrington, Fujian. Official DriveNow launch in London: The carsharing scheme has hit the roads in the UK capital, featuring 240 cars (BMW 1 series and Mini Countryman). Beginning early next year, the free-floating service will also include 30 BMW i3. It is the first service of its kind in London. Electric taxis in Vienna: Four Tesla taxis are already in service in Austria´s capital provided by the company “Öko-Taxi”, which plans to add another 16 Tesla taxis. The city of Vienna recently agreed to increase the share of all-electric taxis by 2025. Oldham extends e-fleet: Oldham Council added two Nissan e-NV200 to its fleet. They join eight Nissan Leaf that are used as pool vehicles across the borough in north-west England by Greater Manchester Fire and Rescue Service and Greater Manchester Police. CHAdeMO adapter delivered: The official status on Tesla’s website is still that the adapter is “coming soon”. But after Tesla has slashed the price by more than half to 450 dollars, Inside EVs decided to order one – and has now received it. 11th Supercharger for the UK: The Tesla charger opened in Warrington in North-England. It was installed at the at The Park Royal hotel, part of the QHotels group, which already has Superchargers at two other locations. More are said to be installed at the group’s hotels next year. Fast-chargers for Fujian: The Chinese province plans to install 60 rapid chargers with an output of 120 kW at petrol stations throughout the province next year. All stations will have two charge points. UK, DriveNow, Electrovaya, Germany, UPS, Workplace charging. UK invests 15 billion pounds: The government announces the biggest road-building programme for almost half a century to build and upgrade 1,300 miles of roads. The ‘Road investment strategy’ also includes a plan to create new charge points every 20 miles across the road network. DriveNow kicks off in London: According to Financial Times, the carsharing scheme will start in the British capital this coming Thursday. The scheme will also include the all-electric BMW i3. Previous reports said, the service would not start until early 2015. Electrovaya gets funding: 1.3 million dollars have been allotted for the development of its Intelligent Energy Storage System (IESS). Eleven of these will be installed in Toronto as well as in London. They will also be used for electric vehicle charging. E-Carsharing for tourists: The first such scheme will start in Germany’s High Black Forest in spring of 2015. 14 communities in the region will be sharing more than 25 BMW i3s that can be charged at one of the 15 charging stations to be implemented. 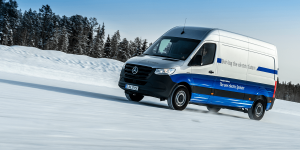 UPS extends electric fleet: German “Elektrofahrzeuge Schwaben“ will electrify old diesel powered delivery vans for UPS. The vehicles of the type P45E will be used in France. UPS already runs converted electric transporters of the Type P80E in Germany. Workplace charging a success: 90 percent of partners of the programme implemented by the U.S. Department of Energy say their charging stations are being used to their maximum capacity during five days a week. Moreover, almost double the amount of EV drivers now charge at work. DriveNow, Amsterdam, Beijing, e8energy, MCT Engineering. DriveNow electrification in Europe: BMW and Sixt’s carsharing offering will also start in London by early 2015 and include the BMW i3. At the launch in Vienna, it was announced that the EV will also might be added to the DriveNow fleet for the Austrian capital. With the ChargeNow card, BMW i-customers now also have cross-border access to the charging infrastructure in Germany and Austria. BMW i3 test fleet in Amsterdam: As part of a pilot project, ING bank leased 51 BMW i3s for staff living within 45 kilometers (28 miles) of Amsterdam. They either charge the i3 at home or at a nearby public charging point – with an additional 90 charging points available at ING’s headquarters in Amsterdam. Charging lights in Beijing: Berlin-based companies Ubitricity and Ebee have come up with the novel idea of turning street lights into charging points – and the idea is making waves in places as far-flung as China. Local media reveal plans by several Beijing districts to turn their street lights into power outlets for EVs as early as this year. This could see the creation of over 30,000 additional charging points. 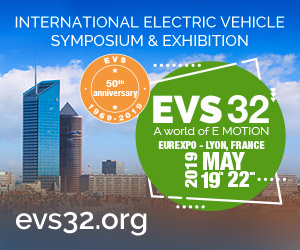 V2H solution from Hamburg: Charging infrastructure specialist e8energy has unveiled its new DIVA bi-directional rapid-charging system with CHAdeMO connector and integrated battery. It was demonstrated last week in Berlin using a Nissan Leaf. F1 supplier truly electrified: British company MCT Engineering has gone green and invested in three Mitsubishi Outlander PHEVs. MCT manufactures carbon components used in a wide variety of areas including Formula One. Hamburg, IES Synergy, CCS fast charging, DriveNow. EV rebates in Hamburg: In Hamburg, both the chamber of commerce and the chamber of trade have set up the ‘Hamburg macht e-mobil’ (Hamburg goes electric) initiative. The 80,000 chamber members will receive discounts of 6 to 23% when choosing from one of nine electric cars from manufacturers like Daimler, Mitsubishi, VW, Nissan, and Renault. The chambers think their initiative could put as many as 18,000 electric company’s cars onto Hamburg’s streets by 2020. Charger on wheels: IES Synergy announced that it has become a supplier to Volkswagen. The company says it will equip the carmakers European dealers with its Keywatt Trolley DC fast chargers that can be rolled around on wheels. 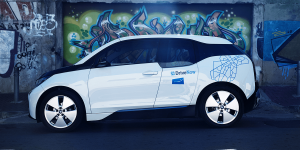 DriveNow to come to Vienna: BMW and Sixt will introduce their car sharing in the Austrian capital in about two weeks. 400 BMW and Mini will be made available to the Viennese, none of them is yet electric. However, this might change once the i3 makes it into the DriveNow fleet. Nissan, DriveNow, Car2go, Malaysia, Eurabus. Nissan Leaf success story: In one year, C&C Taxis from St. Austell, UK, logged no less than 150,000 miles with their five Nissan Leafs. On average, each car is able to make 40 runs per day, thanks to the company’s own DC quick charger – the only one in Cornwall. Compared to the previous diesel taxis, the company has saved 40,000 pounds (68,000 dollars) on fuel bills. DriveNow takes the streets of San Fransisco: BMW’s carsharing service offer street parking in selected neighbourhoods across the Californian city, starting in the Mission District. It will also add another 80 all-electric ActiveE vehicles to its fleet there. DriveNow members can even vote on names for the newcomers. Car2go Italy: As of May 14th, Car2go will be available in another Italian city – Florence. So far, the Daimler carsharing service operates in Milan and Rome and with its new addition has conquered a total of 27 cities worldwide. However, Amsterdam, San Diego and Stuttgart remain the only cities with electric Car2gos. EV carsharing in Malaysia: Starting in August, the joint venture between CMS Consortium Sdn Bhd (Comos), Malaysia Automotive Institute (MAI) and Malaysian Green Technology Corporation (GreenTech Malaysia) will offer the country’s first EV carsharing programme. The service will start in Klang Valley with about 40 cars of the type Nissan Leaf and Renault Zoe. Electric Eurabus: Public transport operator KViP from Pinnerberg, Germany, just leased the latest model of the Eurabus 2.0-300. The 12-metre electric bus from Chinese manufacturer Tewoo has been modified by Berlin-based Eurabus GmbH to meet European specifications. The bus’ battery has a capacity of 314 kWh, enabling a range of more than 250 kilometres when in service.